Sometimes you take a good hard look at your life and realize it’s not what you’d envisioned it would be. The dreams and plans you had once upon a time just haven’t materialized. Perhaps you’re so busy on the hamster wheel of life that you haven’t even had a chance to think about what your life could be. Maybe you’ve settled for what you have because you can’t envision anything different. Maybe you feel like you don’t deserve the things you dreamed about in the past. Perhaps you have absolutely no idea how you’d turn those dreams into reality anyway. Maybe your life feels like such a mess in one area that you can’t even think about the other areas that are important. you life will never change until you do the work of figuring out where you want to be…and how to get there from where you are NOW. 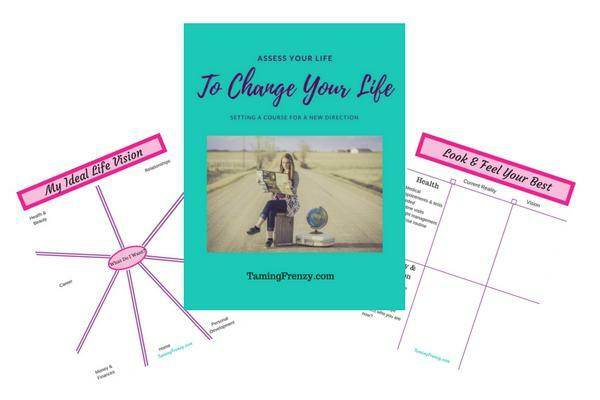 Your free ebook will help you walk through all of the major components of your life so that you can examine each one, get your dreams on paper, and develop a road map to help you get there.